The official website for the Spring 2018 anime Jimoto ga Japan (I'm from Japan) has announced additional cast members. The series will begin to air on April 8 during the CharaSuta time slot that is part of TV Tokyo's morning show OhaSuta. 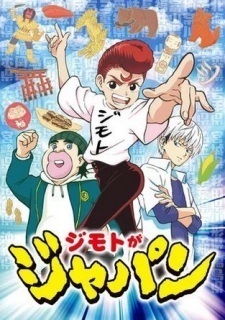 Jimoto ga Japan adapts the comedy manga by Seiji Hayashi. Isamu Ueno (Zannen Onna Kanbu Black General-san) will direct the series at Oddjob. Didn't know about that, if it's a short I will keep an eye on it as well. It's a Jump series, so of course I will give it a shot.